← Aren’t You a Little Leonine for a Winkie Guard? It’s kind of weird starting a post on this topic after eight at night, but one Greco-Roman deity I don’t think I’ve addressed before is Eos, known in Latin as Aurora, goddess of the dawn. She was considered a Titan, daughter of Hyperion and Theia, although she managed to keep her job after the Titans were overthrown. Her siblings were Helios and Selene, the Sun and Moon. Another name for her was Hemera, although that was more properly the name of a primordial goddess of the daytime whose worship fell out of favor. The goddess was described as rosy-fingered and clothed in saffron, sometimes shown with wings and other times riding in a horse-drawn chariot, and was said to have lived on or near Aeaea, the island home of the sorceress Circe. While there was never any official location for Aeaea, just said to be somewhere in the east, Apollonius of Rhodes placed it south of Elba. This was likely an identification from before the Greeks had explored much beyond their homeland that just stuck, like the North Wind living in Thrace, as other myths mention places to the east of the Mediterranean. She was married to Astraeus, god of the dusk, whose parentage isn’t entirely clear. He is sometimes identified as the son of Crius and Eurybia. Their children included the winds and the stars. At some point, she had an affair with Ares, and Aphrodite punished her for it, even though she was married to someone else as well. Only SHE got to cheat on her husband with him! Since then, the dawn goddess was forced to constantly fall in love with mortals. One of Eos’ mortal lovers was Tithonus, son of King Laomedon of Troy, and older brother of Priam. Eos and Tithonus had two sons, Memnon and Emathion, who somehow became royalty in Ethiopia, or possibly Arabia. The Greeks used “Aethiopia” to refer to a lot of different places in Africa and the Arabian Peninsula, and I’ve even heard they sometimes referred to people in India as Aethiopian. Cepheus was King of Ethiopia, but the rock to which his daughter was bound is said to have been near modern-day Tel Aviv. Anyway, not much is known about Emathion, but it’s said that he tried to stop Hercules from obtaining the apples of the Hesperides, and the hero killed him. Memnon brought a great force to assist his uncle in the Trojan War, and ended up being slain by Achilles. 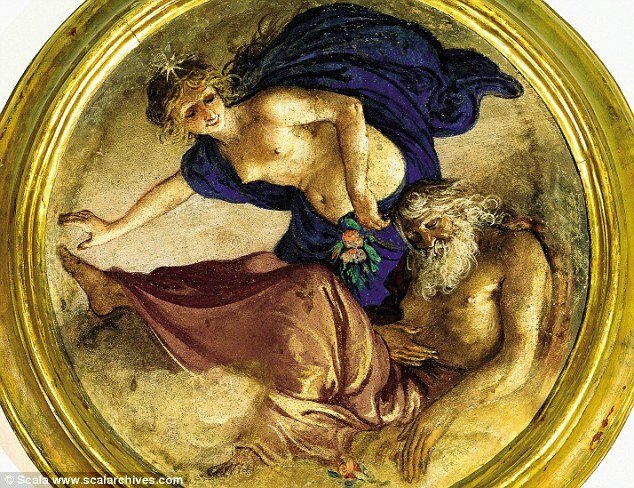 Eos asked Zeus to make Tithonus immortal, and the King of Olympus did so, but didn’t stop him from aging. You have to be careful how you word things with Zeus. Eos either kept Tithonus’ withered body in a room, or he turned into an insect. There is another story that Zeus was moved by Eos’ tears for Memnon, and brought him back to life and granted him immortality. I don’t know that there’s any indication as to whether he ended up like his dad. Another one of Eos’ mortal partners, the incredibly handsome Cleitus, was also made immortal. Perhaps Zeus felt sorry for the trick he played with Tithonus, and granted the goddess’ requests afterwards. Another one of Eos’ lovers was Cephalus, a hunter and son of Deioneos of Phocis, and husband of Procris of Athens. The Titaness abducted him, but he refused to sleep with her because he was already married. 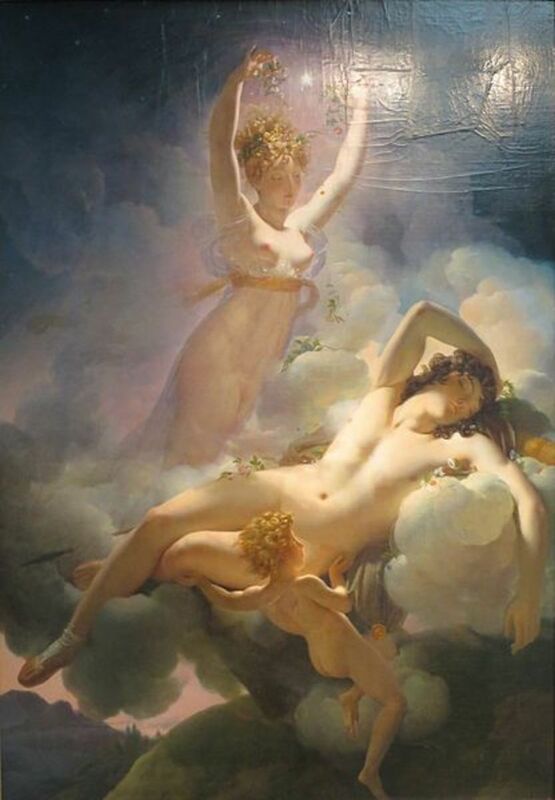 The goddess then changed Cephalus’ form, and he slept with Procris without realizing that he looked different, and Eos used this as proof that she might not be as faithful as he let on, even though she technically was. Eos and Cephalus had sons named Phaethon (not the one who drove the sun) and Hesperus. Later, Cephalus attempted to reunite with his estranged wife, but another trick by the goddess resulted in his accidentally killing her. By the way, the name “Procris” might mean “dew,” and the morning dew was identified as the tears of Eos. The giant Orion was also said to be among Eos’ lovers. 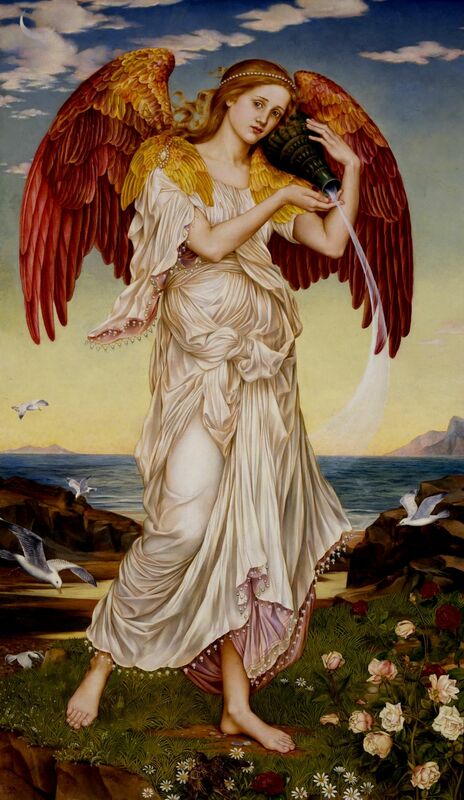 The Morning Star was regarded as Eos’ herald, and as one of her sons with Astraeus. His name in Greek was Phosphorus, or “light-bringer,” which became Lucifer in Latin. The association of this name with the Devil is a somewhat complicated issue that I already addressed. Hesperus or Vesper, the Evening Star, was originally seen as a separate entity. Oddly, while some sources made him a son of Astraeus, it appears to have been pretty common to have said Cephalus was his father, meaning the celestial body associated with dusk with the one who wasn’t biologically related to the god of dusk. At least according to Wikipedia, the Greeks later realized that the Babylonians were correct in referring to these two stars as the same object, and called it Aphrodite instead. 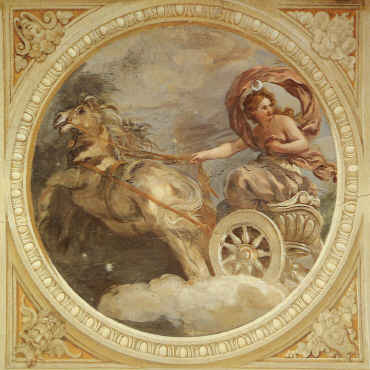 Apparently an early Greek name for the planet Jupiter was Phaethon, the name of Eos’ son and one of her horses. This entry was posted in Greek Mythology, Mythology, Uncategorized and tagged achilles, aeaea, aphrodite, apollonius of rhodes, ares, astraeus, aurora, cephalus, cepheus, circe, cleitus, crius, dawn, dusk, emathion, eos, ethiopia, eurybia, helios, hercules, hesperus, hyperion, laomedon of troy, lucifer, memnon, moon, orion, phaethon, phosphorus, priam of troy, procris, selene, sun, theia, titans, tithonus, trojan war, venus, vesper, zeus. Bookmark the permalink.